NO. 54 FORT STOCKTON - Fortified briefly by Carlos Carrillo in 1828, this site became Fort Dupont (July-November 1846) after American forces took Old Town during the Mexican War. 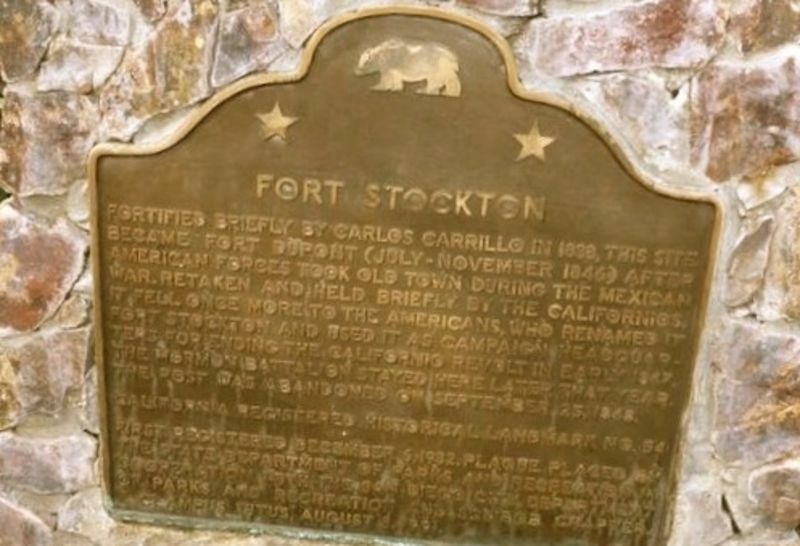 Retaken and held briefly by the Californios, it fell once more to the Americans, who renamed it Fort Stockton and used it as campaign headquarters for ending the Californio revolt in early 1847. 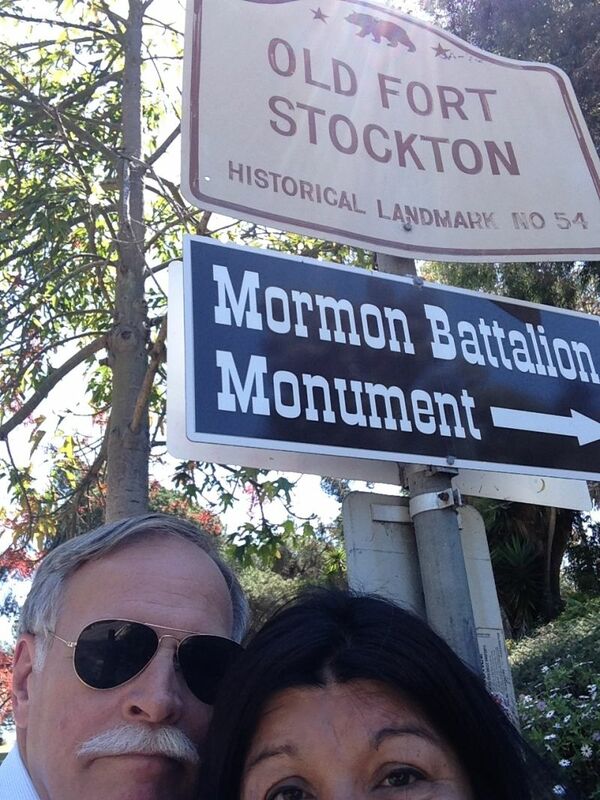 The Mormon Battalion stayed here later that year. The post was abandoned on September 25, 1848.